Our creative design team is experienced in producing original, effective and sophisticated designs for customers in a variety of different industries. With a rich history of work and solid client base, you’re in good hands. 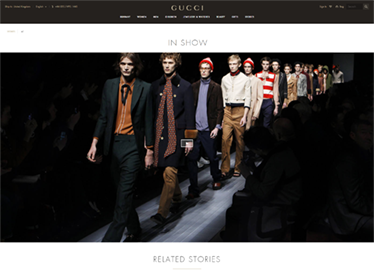 The multi-national Gucci redevelopment was built on SAP Hybris with many interactive features and cutting-edge performance requested by the leading fashion house. We welcome Apex Maritime to our portfolio with their HTML5/CSS3 CMS brochure site with interactive maps, instant contact us forms, image animations, parallax background and more! Popular CMS site for a youth charity, built upon WordPress and making best use of slideshow galleries, blogs, members area and an online donation tool. 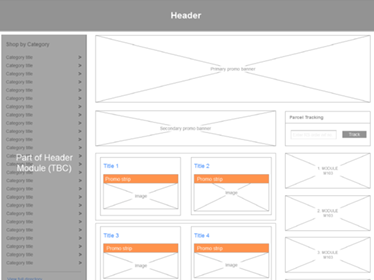 User Interface and User Experience specialists, from wireframes and workshops to final design. Popular CMS Solutions for sites and budgets of all sizes, from WordPress and Joomla to Adobe Experience Manager. 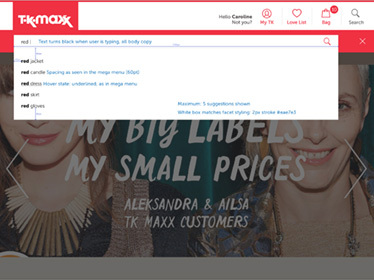 Results-driven Search Engine Optimisation to achieve first page on Google for your chosen keyword phrases. Recent showcase work by our Director on behalf of other agencies and Big Boy Media Ltd. For more projects please visit our Portfolio and Services pages. continues to push the boundaries. Since we were formed almost 15 years ago, Big Boy Media has evolved to be a leading resource on UX Design and Front End Development, working with major clients in the UK and abroad. We are proud to support and partner with larger agencies that can use our specific skills and expertise to upsell their own services, and offer a best-in-class client proposition. VAT: GB 251 2919 15.